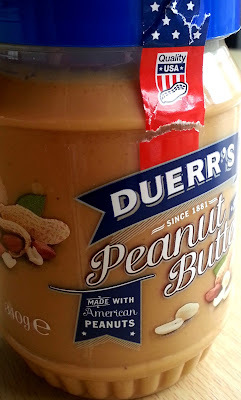 Regular readers of my blog will be familiar with my peanut butter obsession. I love peanuts and peanut butter in EVERYTHING. Sweet foods, savoury foods and smoothies - all taste better with peanuts! A few months ago Duerrs got in touch and sent me some of the newly branded jams which I used to make some jammie biscuits. I'm not a huge jam fan so I'm not loyal to one brand of jam generally but I did like the samples they sent and they worked a treat in those biscuits. But then Duerrs tweeted me (best tweet EVER!!) and offered me some of their new peanut butter and I *knew* I had to try it! I mean who'd say no to free peanut butter? I decided to test out recipe that's been rattling around in my brain recently, it's a combination of a few bars recipes I've made before and it's been tweaked to my tastes. 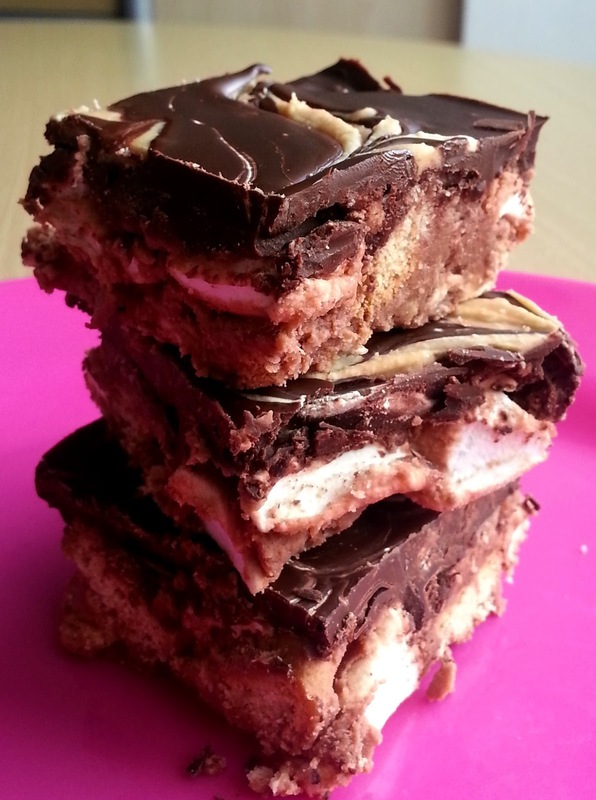 It's a forgiving recipe so don't worry if you don't quite have enough chocolate or marshmallows. It'll still be tasty and I'll add some whole peanuts next time I make it for some much needed crunch. Line 8" square tin with greaseproof paper. 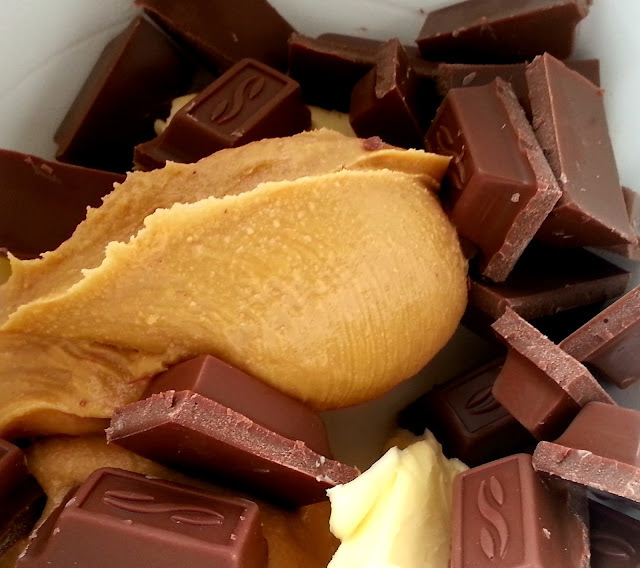 Melt chocolate, peanut butter and butter in a microwave and stir until smooth - about 2mins. 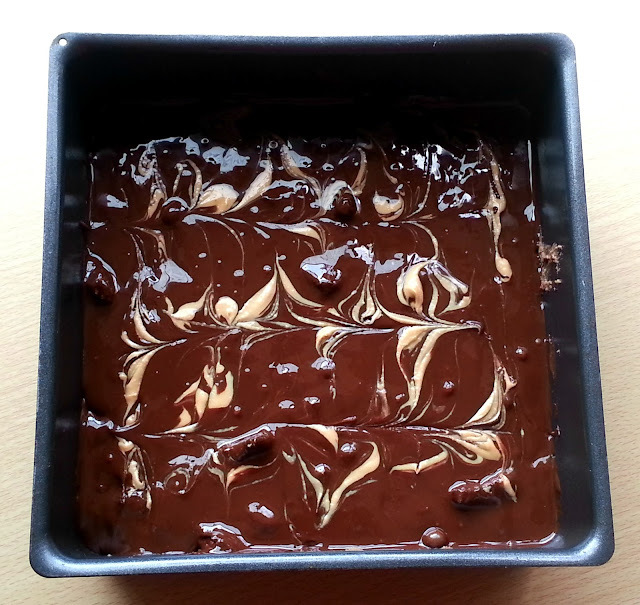 Melt chocolate in microwave in short bursts so as not to overheat chocolate. 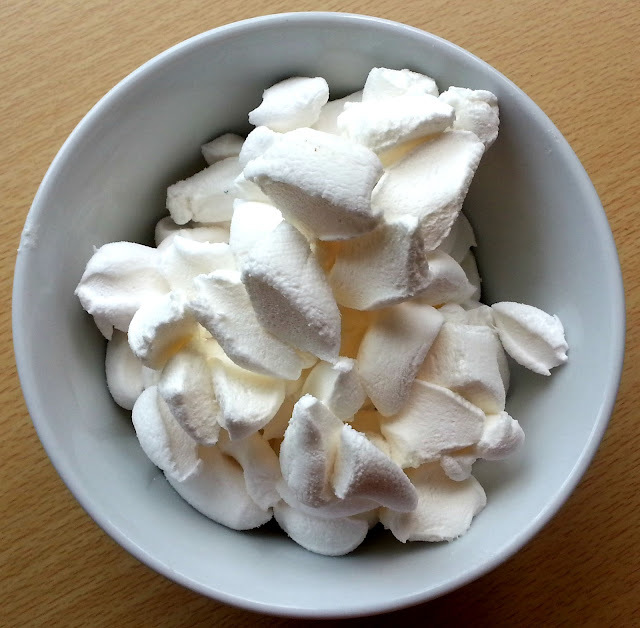 Remove from microwave and pour over mixture in tin. Melt peanut butter and pour blobs over top of melted chocolate. Drag through blobs with a toothpick to create a pretty swirled pattern. Leave to cool at room temperature and then refrigerate for an hour or so before cutting into squares. 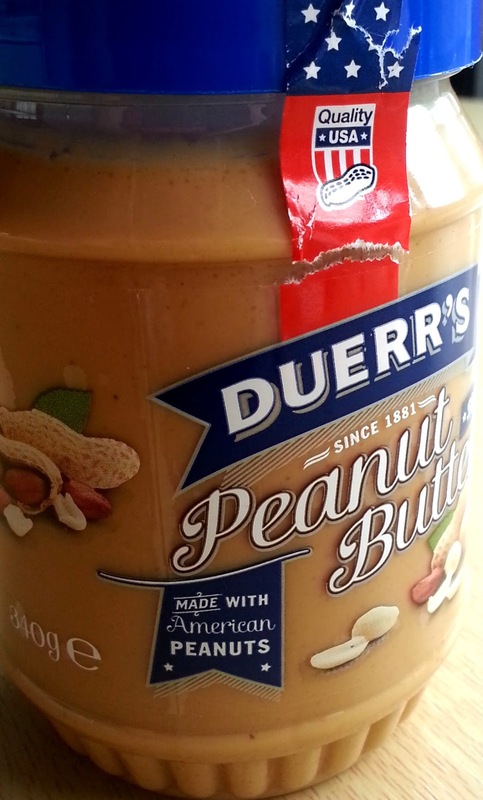 Disclaimer: Thanks to Duerrs for sending me a free jar of peanut butter to taste test! These look amazing! I'm also a huge peanut butter lover. 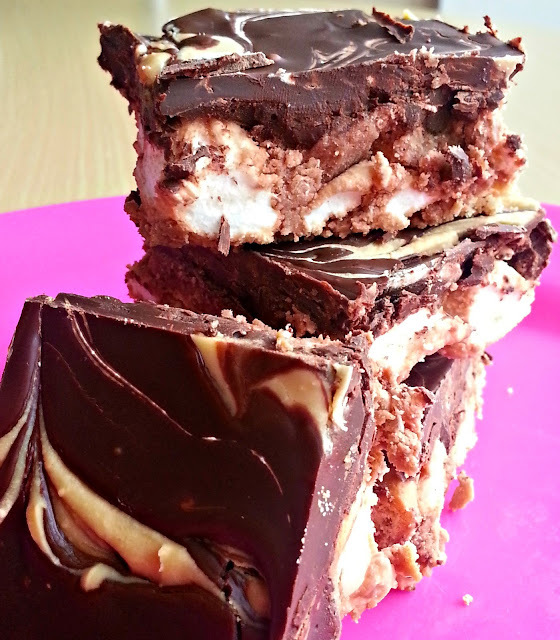 I'm going to make these today, I'll let you know how I get on :-) Love your blog! Awww, thanks Nickki! I hope you enjoy making them, they're one of those recipes which isn't pretty but tastes delicious!